This beautiful letterpress personalized "Peppermint Ice" gift wrap is fun and festive. 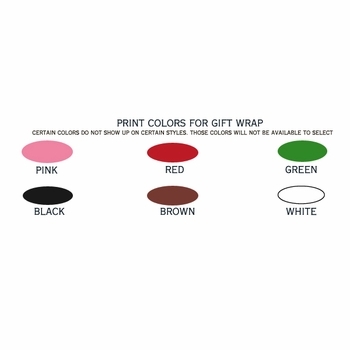 This personalized gift wrap is a distinctive and meaningful way to decorate the exterior of your gift with any wording of your choice. 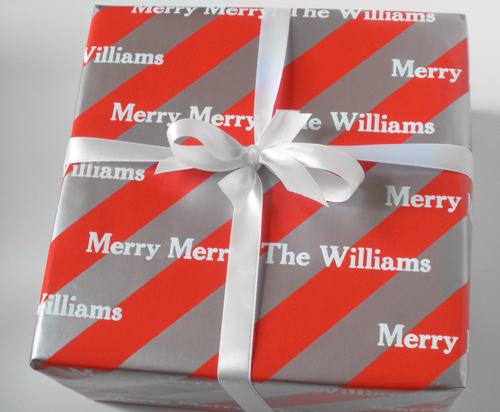 Personalized wrapping paper is the perfect way to gift wrap holiday gifts, birthday gifts and baby shower gifts. It is different from others as a unique nine step stamping process is used to produce each roll. 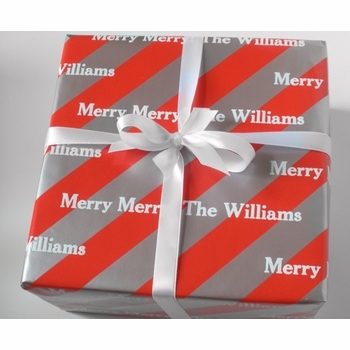 So now you can show how special the gift receiver is by personalizing this gift wrap. 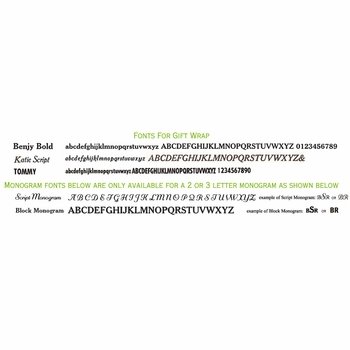 Choose your lettering style, imprint color and wording and we will create something special for you or your recipient. A. Standard processing for most products is approximately 14 to 21 business days plus shipping time. (This is not a guaranteed time frame as certain circumstances may cause a longer delivery) Standard delivery excludes INTERNATIONAL orders which could take up to an additional 3 weeks. Since Holidays tend to get busy, orders can take up to a week longer. A. Standard Rush orders must be phoned in to our customer service department at 1-203-655-0185. All orders placed prior to 3:00 EST will be shipped within 3 business days. Orders received after 3:00 pm will go out on the 4th business day. A standard Rush order is $25.00 per item/ Not per order. Holiday Rush orders are $50.00 per item and our holiday rush season is from October 1st until December 17th. Shipping charges are extra. You may choose overnight, 2nd day air or ground service- we will rate shop your price according to your zip code and delivery area.